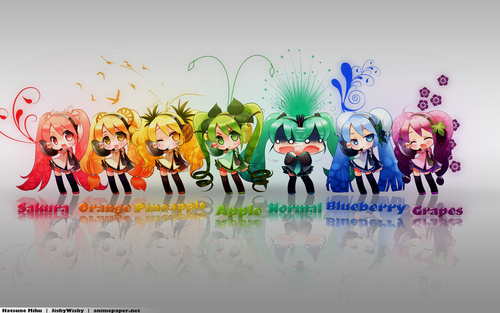 Colors（色） of Miku. . HD Wallpaper and background images in the ボーカロイド club tagged: vocaloid miku hatsune chibi color. Just want to eat them all!!! !